There is only so much you can do with a samba carnival. Unless you take fun seriously, all that energy is wasted. Nice while it lasted but soon forgotten. All energy is like that. It is an essential nuisance, merely passes through. Brazil needs more energy. The increase in industrial activity of the last 20 years has not caused a crisis. Or that is what the Government is saying, no crisis but we are worried. And mere faith is not enough. Faith divides rather than unites. Cardinal Dom Orani Joao Tempesta is the cardinal of Rio de Janeiro. Not a man to dress down, even when travelling to a theological debate, he was trailed in his car by three men. They robbed the cardinal of his ring, lanyard, crucifix, fortunately not life size, pen and phone. The belongings were soon discarded by the thieves. Not for the first time in history a cardinal has been a disappointment. The history of Brazil has been blessed and cursed with faith in the future. Wind power is afflicted with a bad press in the UK. But Brazil has the faith that encourages the Catholic Church and those that rob cardinals. By the end of the year, Brazil will be in the top five countries for investment in wind power and newly installed wind parks. 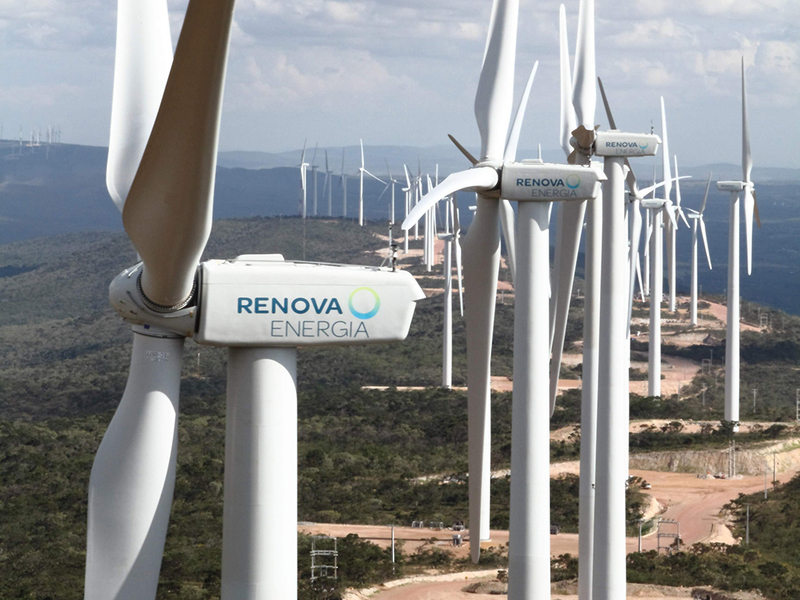 Today 5% of the energy of Brazil is sourced by wind power. This will increase to 10% by 2018. The Government aims to put Brazil in the world top ten, which is why it is presumably encouraging innovative ideas or what managers addicted to cliché used to call ‘blue sky thinking’. Not everything happens in Rio but the city knows how to make headlines. Pele visited to publicise a football pitch that has been created in the Morra da Mineira favela. The pitch has 200 kinetic tiles and captures the energy and power that is generated by the footballers. The energy is sufficient to generate six LED floodlights, and this allows children to play safely in the evening. Admittedly, Pele is not the greatest of critical thinkers, a couple of World Cup medals and he soon abandoned classical pessimism. But this idea could have potential. Neither should we forget the samba carnivals mentioned at the beginning. We have plenty of football pitches. Not all will have the same potential for energy and power. Unless, Martinez really has created a revolution at Everton, the circuit should be able to safely bypass Goodison Park. The implications for the environment are difficult to predict. Environmentalists are concerned about the Pantanal, which is the biggest area of wetland in the world. The Pantanal is not as big as Britain, so it must be really wet. In the rainy season, 80% of the land is under water. Wetland it may be but the Pantanal is suffering from intensive agriculture. Surely there is a win-win here, water and land that could be kept empty for tourists. Do not be surprised to see an increase in the sales of wellingtons. Howard Jackson has had three books published by Red Rattle Books. His collection of horror stories, Nightmares Ahead, will be available in the spring of 2015. If you want to read more about Brazil click here. Posted in Brazil, News, Travel and tagged Brazil, energy, environment, green, politics, rainforest, renewable on September 19, 2014 by Howard Jackson.